Recently I came across this phase “Fast is Slow and Slow is Fast” and I was not really sure what it meant until I found myself saying it to my agility students. We were working on a new skill and one of my students was racing through the exercise and his dog kept making mistakes. I had him slow down so they dog had time to think and the dog did the exercise perfectly. Suddenly I understood “Fast is Slow and Slow is Fast”. I realized that it was similar to “Slow and steady wins the race”. When I explained my newly learned phrase to my class, we all laughed but soon it became a common theme when the dogs made a mistake. 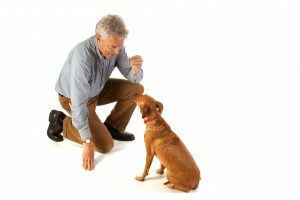 Whether our dogs are learning agility, obedience, tricks or any other skill, we have to remember that they are learning. Just like us, it takes their brains time to decipher exactly what we want from them. If we sped through the “explanation” they may misunderstand the skill we are looking for. If we can be patient and teach them slowly, they can actually learn the skill faster. So, if we teach them slowly, they can learn faster. If we teach them fast, they are likely going to learn slowly. After pondering this phrase more, I realized that it can be incorporated in many areas of our lives. For example, often times a person that adopts a puppy without thought or planning will end up rehoming or returning the puppy shortly after the adoption. In contrast, the person who spends time thinking about what they are looking for in a puppy or dog before adopting, is more likely to keep the dog for life. Next time you are teaching your dog, remember to be slow (and patient) and you will likely find that your dog learns a lot faster.